Why leave Fido at home? Bring him to vacation on Hilton Head with you. We know how important your dogs are to your family, so we've asked some of our owners to open their homes to families on vacation with small to medium dogs. Hilton Head Island has its own dog park. It is in the Chaplin Community Park, located just off William Hilton Parkway between Singleton Beach Road and Burke's Beach Road. The park is completely fenced and "double gated" so you will be able to let your dog off-leash as long as it's not aggressive towards people or other dogs. 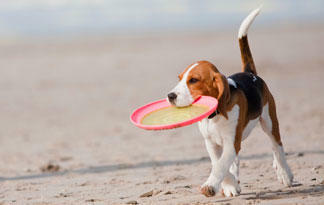 Hilton Head Island boasts several pet friendly restaurants (many even have a pet menu!) and just in case, there are plenty of Veterinarians who are available in the event of an emergency. Now the whole family can enjoy a fun-filled vacation on Hilton Head. pet fees for all nightly/weekly reservations are $10/night/pet with a minimum of $40. Monthly reservations: For monthly reservations in a villa, the guest will be charged $300 for the first month and $150 for each additonal month. For monthly reservations in a home, the guest will be charged $500 for the first month and $300 for each additional month. To make sure that even Fido has a good time on Hilton Head Island, we have put together a list of local groomers, vets, and doggie day cares. 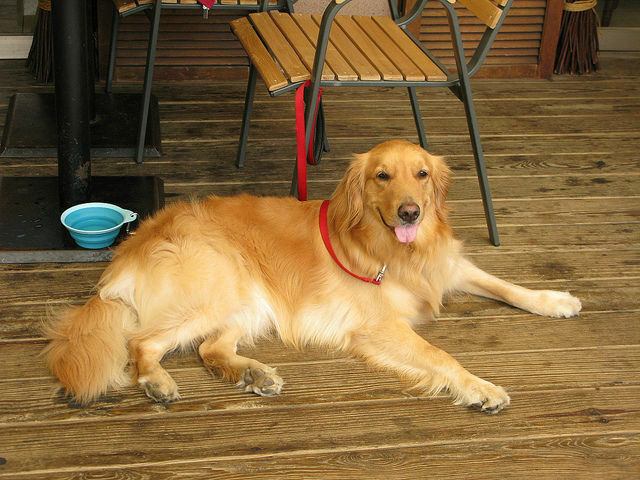 Since pets are so well loved on Hilton Head Island, some restuarants are also dog-friendly and love when you bring the lil' pup along!